CalFresh is a supplemental nutrition program that helps people get the fresh fruit, vegetables, and whole grains they need to stay healthy. Contact us and see if you qualify. 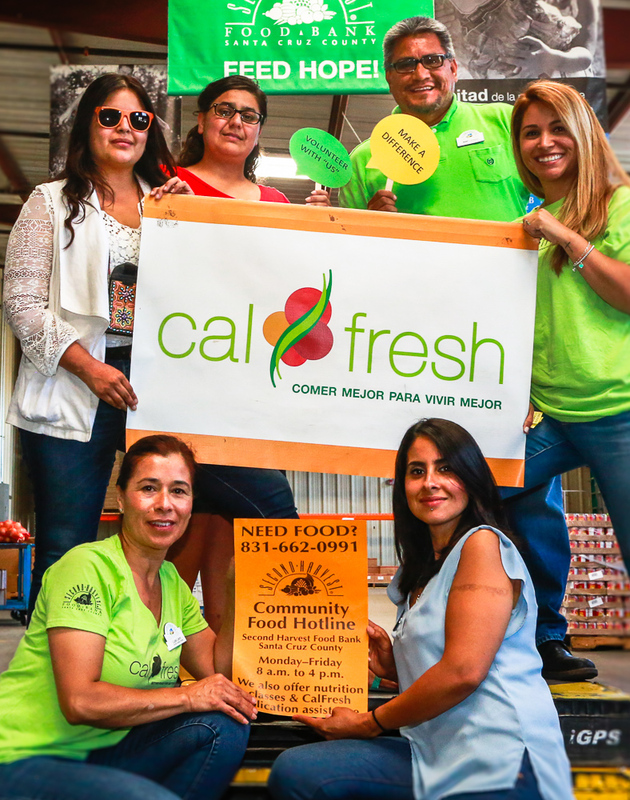 Second Harvest Food Bank Santa Cruz County has a bilingual team of CalFresh outreach workers ready to assist you with the application process. With strong advocacy experience, we will work hard on your case. Check the CalFresh guidelines below to see if you may qualify. Use your Calfresh card at your neighborhood Farmers Market. Spend $10 and receive $10. 1. Are you a resident of Santa Cruz County? 2. Are you or your children a U.S. citizen or a Legal Permanent Resident? 3. Is your household’s gross monthly income within the limits listed below? Contact us to see if qualify!